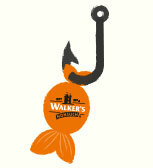 Walker's Nonsuch Limited » England's finest toffee » Did you know? Many people ask us “why the name Walker’s Nonsuch?” It’s something of a family legend that when our founder Edward Joseph was establishing the company, he wanted a distinctive brand name to stand out from his competitors and describe the quality of his toffee. 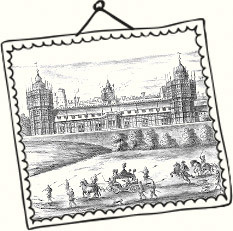 He happened upon the story of Nonsuch Palace, the grandest of all palaces built by Henry VIII between 1538 and 1546. Its very name a boast that nowhere else could compete with its exquisite splendour. A palace of all palaces, there was ‘nonsuch’ like it – just like Great Grandad’s special toffee. There’s ‘nonsuch’ toffee like Walker’s Toffee! 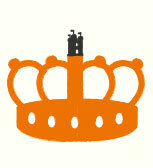 We currently export to over 50 countries and still rising. From Aruba to Australia. 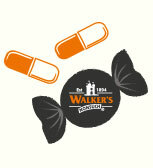 Some say our Liquorice Toffee has medicinal properties and our Treacle Toffee is particularly good for sore throats. Since Victorian times our Toffee has travelled far and wide in the backpacks of explorers and mountaineers who value it as a great source of energy and the fishermen of the Faroe Islands love it too. Walker’s Nonsuch was invited to No. 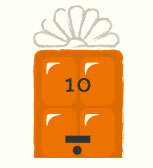 10 Downing Street by The Prime Mininster to celebrate British Food. 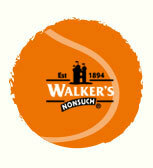 Walker’s Nonsuch Toffee can be seen in all the best places… it was recently enjoyed in the Royal Box at Wimbledon. We sent The Queen some of her favourite toffee to celebrate her 90th birthday. 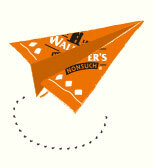 The latest from our blog with news about Walker’s Nonsuch Toffee. Toffee made with love for five generations.